Our A-Line pumps are heavy-duty, horizontal, radially split, multistage diffuser type pumps engineered and manufactured to the latest edition of ISO 13709 and API 610 (BB5 type). 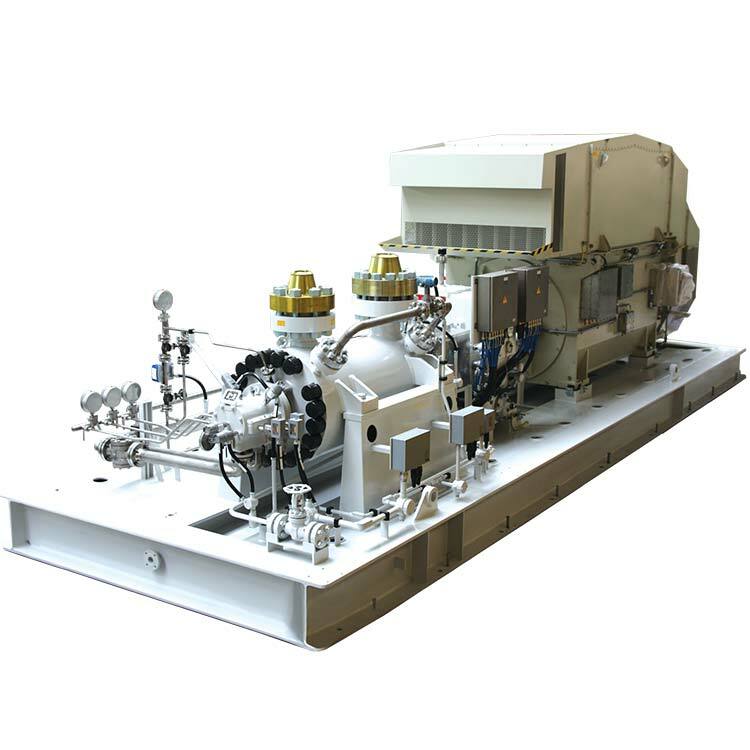 Applications High Pressure Applications, Water Injection, Boiler Feed, Cogeneration, Pipeline, Reverse Osmosis, Amine / Ethylene Feed, Hydrocarbon Charge, Hydraulic Decoking. The A-Line pump range includes the A, AB, ADC and ADSL pump models, making it available either with in-line or back-to-back impeller arrangements. For ease of assembly and high overhaul times the cartridge element can be supplied as a full pull-out design. The pumps meet the stringent specifications of API 610 latest edition (BB5 configuration) and reflect the many years of our experience in the design, manufacture, quality assurance and operation of process and decoking pumps under heavy duty conditions. A-Line pumps are generally in compliance with ATEX and the CE Machinery Directive and are designed for heavy-duty applications.